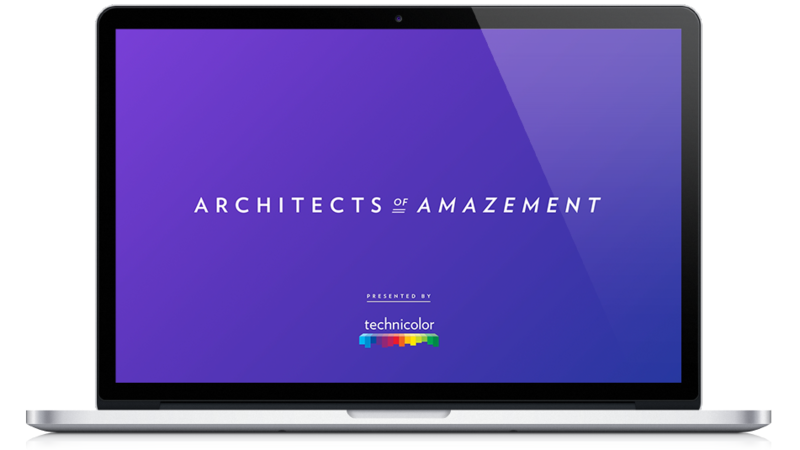 The purpose of this Corporate Social Media Campaign – Architects of Amazement – was to showcase the breadth and depth of Technicolor centered around the theme that they are an innovative Creative Technology Company, as part of their 100 year anniversary celebration. To design an awareness social media campaign with a heavy focus on end-users, highlighting Technicolor’s technology, talents and global coverage in an awe-inspiring and easy-to-understand format. To create a series of dynamic short videos designed for native social media consumption and to showcase Technicolor’s artists and innovators who wring amazing experiences to life. Architects of Amazement: a social media campaign reaching 6M+ people, generating 1M+ video views on social media platforms, and boosting their follower base by +15%. With the help of Technicolor’s marketing team, we have identified the key/strategic topics to be highlighted in the campaign, and cast the right talents to be featured in the videos. All interviews were prepared prior to the video shoot but unscripted to keep a natural flow of speech. Each video piece was edited, color graded and sound mixed, and then posted as native social media content on YouTube and Facebook with extra amplification on Twitter, LinkedIn and Instagram. See below the end result. Virtual Reality is defining a brand new language for storytellers. Learn how Technicolor is helping write the dictionary of the next entertainment (r)evolution. Color is an integral part of storytelling. Learn how Technicolor’s expert colorists can completely transform a scene through the manipulation of light and color. VR is creating new challenges and opportunities for immersive storytelling. See how Technicolor and our family of brands are working with VR content creators to bring their creative vision to life.